As we countdown to the fiftieth anniversary of the moon landing this July, several libraries and museums are setting their sights on lunar topics. The Linda Hall Library in Kansas City, Missouri, is first up with To the Moon: The Science of Apollo, which opened on March 28 and runs through August 30. 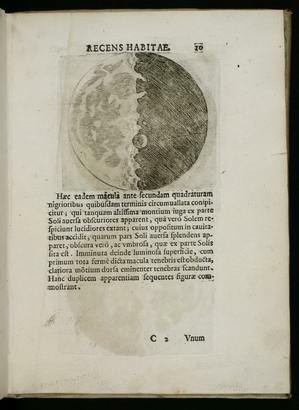 Works by Galileo, Johannes Hevelius, Robert Hooke, Tobias Mayer, and others will be on view, including the fine paper copy of Sidereus Nuncius (Venice, 1620; pictured here courtesy of Linda Hall Library) as well as the pirated Frankfurt edition. NASA images, mission reports, technical reports, maps, and other material will round out the exhibition. The Houghton Library at Harvard University just announced its exhibition, Small Steps, Giant Leaps: Apollo 11 at Fifty, which will be on view from April 29 to August 3. 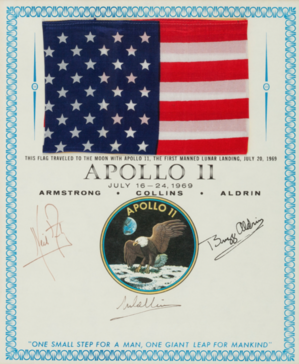 First editions of Copernicus, Galileo, and Newton will be displayed alongside space memorabilia from a private collection that includes artifacts like this silk American flag, carried by Neil Armstrong on the Apollo 11 mission, mounted on a special commemorative page signed by Armstrong, Buzz Aldrin, and Michael Collins in 1969 (Loan, private collection, courtesy of Houghton Library). Later in the season, on July 3, the Metropolitan Museum of Art in New York hosts Apollo’s Muse: The Moon in the Age of Photography. Featuring 170 images, the exhibition will trace the progress of astronomical photography from newly discovered lunar daguerreotypes from the 1840s to photographs captured during lunar expeditions, such as Neil Armstrong’s photograph: Astronaut Edwin E. Aldrin Jr. Walks on the Surface of the Moon, Apollo 11, July 16-24 1969 (pictured here courtesy of the Metropolitan Museum of Art, New York, Purchase, Alfred Stieglitz Society Gifts, 2017). Then, on July 14, National Gallery of Art in Washington, D.C. will unveil By the Light of the Silvery Moon: A Century of Lunar Photographs from the 1850s to Apollo, a select survey of lunar photographs from Warren de la Rue’s late 1850s glass stereograph of the full moon to Loewy et Puiseux’s 1899 photogravure, Photographie Lunaire Rayonnement de Tycho - Phase Croissante (pictured here courtesy of the National Gallery of Art, Washington, Gift of Mary and Dan Solomon and Patrons’ Permanent Fund) to glass stereographs taken by Neil Armstrong and Buzz Aldrin showing close-up views of the lunar surface. Later in the season, on July 3, the Metropolitan Museum of Art in New York hosts Apollo's Muse: The Moon in the Age of Photography. Featuring 170 images, the exhibition will trace the progress of astronomical photography from newly discovered lunar daguerreotypes from the 1840s to photographs captured during lunar expeditions, such as Neil Armstrong's photograph: Astronaut Edwin E. Aldrin Jr. 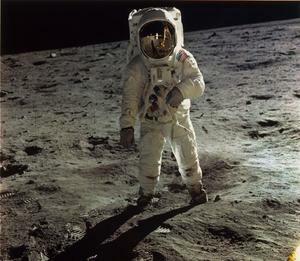 Walks on the Surface of the Moon, Apollo 11, July 16-24 1969 (pictured here courtesy of the Metropolitan Museum of Art, New York, Purchase, Alfred Stieglitz Society Gifts, 2017). 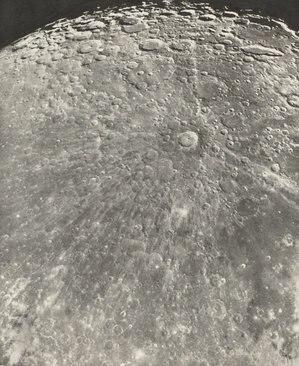 Then, on July 14, National Gallery of Art in Washington, D.C. will unveil By the Light of the Silvery Moon: A Century of Lunar Photographs from the 1850s to Apollo, a select survey of lunar photographs from Warren de la Rue's late 1850s glass stereograph of the full moon to Loewy et Puiseux's 1899 photogravure, Photographie Lunaire Rayonnement de Tycho - Phase Croissante (pictured here courtesy of the National Gallery of Art, Washington, Gift of Mary and Dan Solomon and Patrons' Permanent Fund) to glass stereographs taken by Neil Armstrong and Buzz Aldrin showing close-up views of the lunar surface.